When Londoner JP Floru tags along with three friends running the marathon in Pyongyang, little could have prepared him for what he witnessed. Shown by two minders what the regime wants them to see during their nine-day trip, the group is astounded when witnessing people bowing to their leaders’ statues; being told not to take photos of the leaders’ feet; and hearing the hushed reverence with which people recite the history invented by the regime to keep itself in power. Often, the group did not understand what they were seeing: from the empty five-lane motorway to the missing fifth floor of their Yanggakdo Hotel on an island in the Pudong River; many answers only came through extensive research of the few sources that exist about this hermit country. 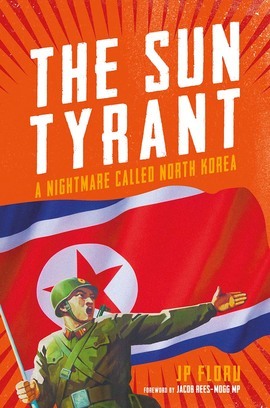 Shocking and scary, The Sun Tyrant uncovers the oddities and tragedies at the heart of the world’s most secretive regime, and shows what happens when a population is reduced to near-slavery in the twenty-first century.